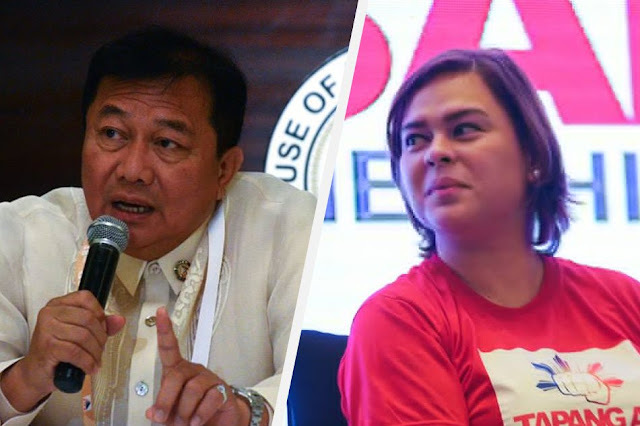 The biggest rift between the former House Speaker Pantaleon Alvarez and Davao City Mayor Sara Carpio-Duterte is happened when Alvarez tagged Hugpong ng Pagbabago (HnP) partylist of Sara as an opposition party. It prompted Sara to spout a colorful tirade against Alvarez and to threaten him with a candidate that they will put up against him. Was Sara’s offended reaction justified? Veteran journalist Serafin “Jun” Ledesma, Jr. explained in a Facebook post why HnP was established and whether it is supportive to President Rodrigo Duterte’s administration. “It was organized to consolidate the political leadership in the Region 11 to harmonize development planning and make it a power conglomerate that could collectively demand due shares of national government project allocation,” Ledesma said. In an effort to avoid committing the same concentrated industrialization and population growth like Metro Manila, HnP’s purpose was to “disperse industries” out into neighboring regions so that Davao City does not become a hotpot of congested urbanity. Besides making sure that urbanization and development expands beyond Davao City, HnP was established after a team-up of political personalities was created as the aftermath of “a series of intrusions by outside political forces” that threatened the banana industry of Mindanao. Ledesma identified some of these “outside political forces” as Reps. Johnny Pimentel of Surigao, Rey Umali of Mindoro, and Deputy Speaker Gwen Garcia of Cebu who all concurred with Alvarez’s call to take down quarantine stations in Tadeco banana plantation. These quarantine stations served as bio-security measures against the deadly fusarium wilt or Panama disease which is a soil-borne virus that can take out entire banana plantations. However, Alvarez’s cohorts insisted on dismantling these bio-security facilities, thus, risking the banana industry in Mindanao to the lethal virus that could cost the livelihood of many farmers. Sara stood up against the “sheer non-chalance and ignorance of lawmakers from other provinces” by establishing HnP as a way to represent and voice the concerns of the region. 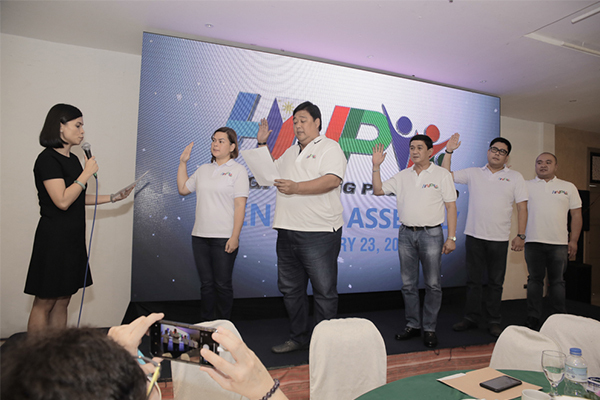 HnP served as a partylist ally of the President, one that rose out of a need to address regional issues that get sidetracked in Imperial Manila, but ones that remain in line with the President’s goals and agenda. It is for this reason that Ledesma is “confident” in Pampanga Representative Gloria Arroyo as the new House Speaker given the woman’s evident support to the President. What an outrageous fortune. In the echelon of power the Speaker of the House is not too far away from the Presidency and wields vast powers among these as custodian of the purse and, in the language of Rep. Pantaleon “Bebot” Alvarez himself, can impeach a President. For Davao City Mayor Inday Sara Duterte-Carpio those sound bites has portentous meaning and if her father did not take that as an affront, the lady Mayor does. Acrually she let that pass. When she spearheaded the organization of Hugpong ng Pagbabago however, Speaker Alvarez was quoted as saying that HnP was an opposition party. This was what broke the camel’s back. The presidential daughter said a mouthful against Alvarez and made it clear in the turf of the Speaker that HnP will put up a candidate against him. But what was Hugpong ng Pagbabago all about? It was organized to consolidate the political leadership in the Region 11 to harmonize development planning and make it a power conglomerate that could collectively demand due shares of national government project allocation. It was meant to disperse industries in the region outside of Davao City to prevent over concentration of population and industrialization. In short, the political leaders and planners do not want to see the nightmare of Metro Manila congestion. They have Architect Jun Palafox to help them design a megapolis out of the entire Region 11. HnP is made up of political personalities in the region but is far from being a political opposition. Not by any figment of rational imagination. It metamorphosed into a formidable regional political force because of a series of intrusions by outside political forces that cut across congressional boundaries in an attempt to devastate the burgeoning banana industry by dismantling bio-security measures that control the spread of the dreaded fusarium wilt. Recall that a Reps. Johnny Pimentel of Surigao, Rey Umali of Mindoro and Deputy Speaker Gwen Garcia of Cebu echoed the the call of Speaker Alvarez to dismantle the quarantine stations in Tadeco banana plantation and the probe into alleged irregularities of Joint Venture Agreement of the Floirendo-owned banana firm and the Bureau of Corrections. Earlier, the Chief of Staff of the speaker, a certain Edwin Hubahib and DPWH Engr. Noel Basanes, already led the destruction of biosecurity gates in what they wrongly identified were located in public roads. Party list Representative Ariel Casilao also dismissed warnings of the Philippine Banana Growers and Exporters Association that the dismantling of the quarantine stations will expose plantations to Fusarium wilt, not only of Tadeco, but all other plantations. Fusarium Wilt is also known as Panama disease, a soil-borne virus that wiped out the entire banana industy in that country. PBGEA had taken emergency preventive measures since the disease had attack plantations in Australia and other neighboring countries and already infected plantations of independent growers in Mindanao. The regional economy of Davao region is threatened by sheer non-chalance and ignorance of lawmakers from other provinces and HnP has become a formidable force to deter that dubious external political alliance out to undermine the most vibrant regional economy in the country. “Don’t mess with me”, was the stinging message of Mayor Inday Sara who heads HnP. The message reverberrated in all nooks and corners of the country providing motivations and encouragement for political leader who wants genuine reforms under the government of Pres. Rodrigo R. Duterte. I have sensed the quiet footsteps of leaders from Luzon and some from Visayas seeking audience and accord with leaders of HnP. As I have written earlier, the rise of a strong regional political organizations has started to challenge the house leadership. I never realized it was that soon and it was that swift. Personally I find it rather sad because I watched how the political fortunes of Bebot Alvarez and Tonyboy Floirendo wasted. We were friends and I heard them pledged to worked together for Duterte and some of local candidates. The agenda was clear: support Duterte and his administration. Duterte became President and both Tonyboy and Bebot won their respective congressional seats. Tonyboy helped Bebot during that election and all the way to the later’s speakership. I was therefore shocked to hear that Bebot faulted his friend over Tadeco’s JVA with BUCOR and even went ahead to file a case against him before the Ombudsman. That JVA had been in existence for nearly five decades and withstood legal scrutiny. Former Pres. Gloria Macapagal Arroyo, am confident will steer Congress to support and achieve the goals of President Duterte and even help in the economic agenda of this administration. Still I miss that euphorious moment when the President, the Senate President and the Speaker of the House are all from Mindanao. But then again this is the dawning of a new era for after all GMA is one of the unwavering allies of Duterte. This is the start of the Build, Build, Build program of the President. On the positive note he needs a workaholic and economist like Gloria.